Slurry pumps are widely used to transport corrosive/abrasive and high concentration slurry in many industries such as Gold, Silver, Iron ore, Tin, Steel, Coal, Titanium, Copper, Mineral sands, Lead and Zinc. Various other industries include Molybdenum, Electric Utilities, Oil Shale, Water & Sewage Utilities, Building areas, Sand & Gravel, Tobacco and Agriculture (hog, poultry, dairy manure). 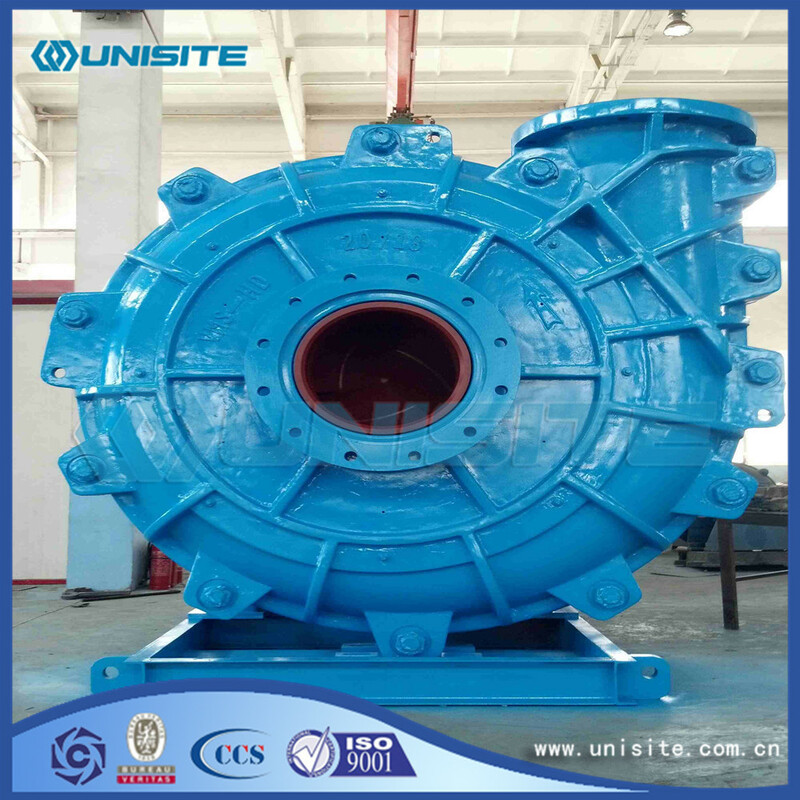 We have developed our USSP dredge pumps, which are used in the metallurgy, mines, coal and power area and deliver slurry with strong abrasion high concentration. These series of dredge pumps have characteristic features: High efficiency, wear resistant, stable performance, interchangeability of parts. 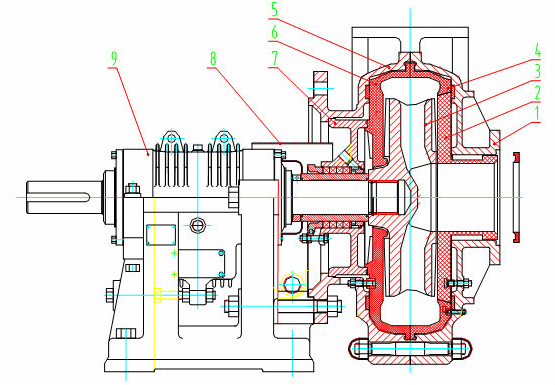 These type of pumps have double casing structure. Outer casing, split outer casing halves that made of cast or ductile iron with the wear liners and provide high operation pressure capabilities. 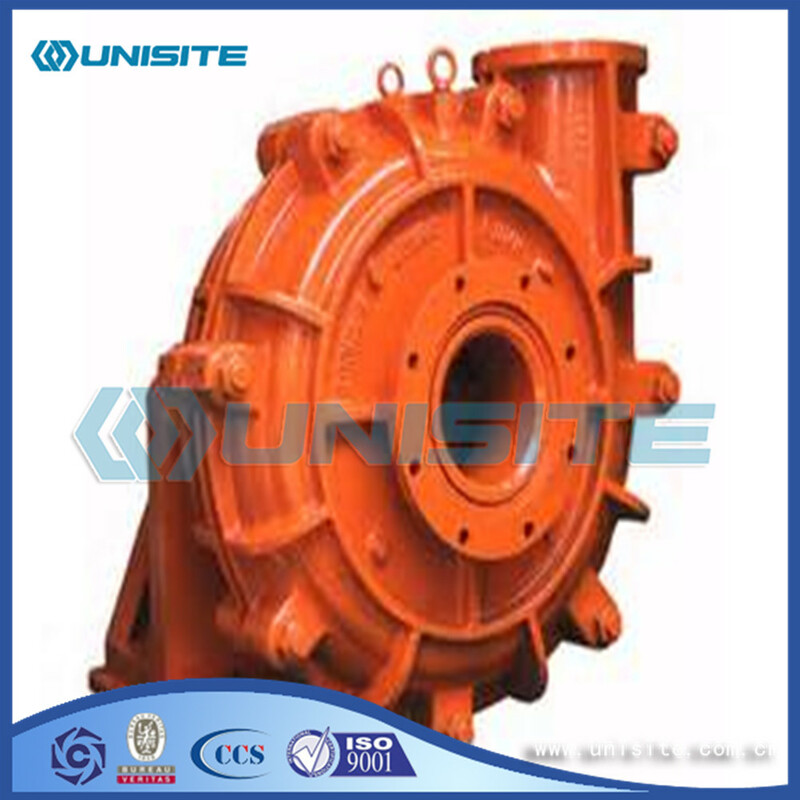 The lining and Impeller can be made of wear metal or rubber. Deep side sealing vanes relieve can seal pressure and minimize recirculation. The discharge outlet can be adjusted with rotation interval of 45 degree, the pumps can be operated in series and driven with belt. Hard metal liners are tapered to make sure precise alignment during assembly and allow components to be easily removed for replacement. 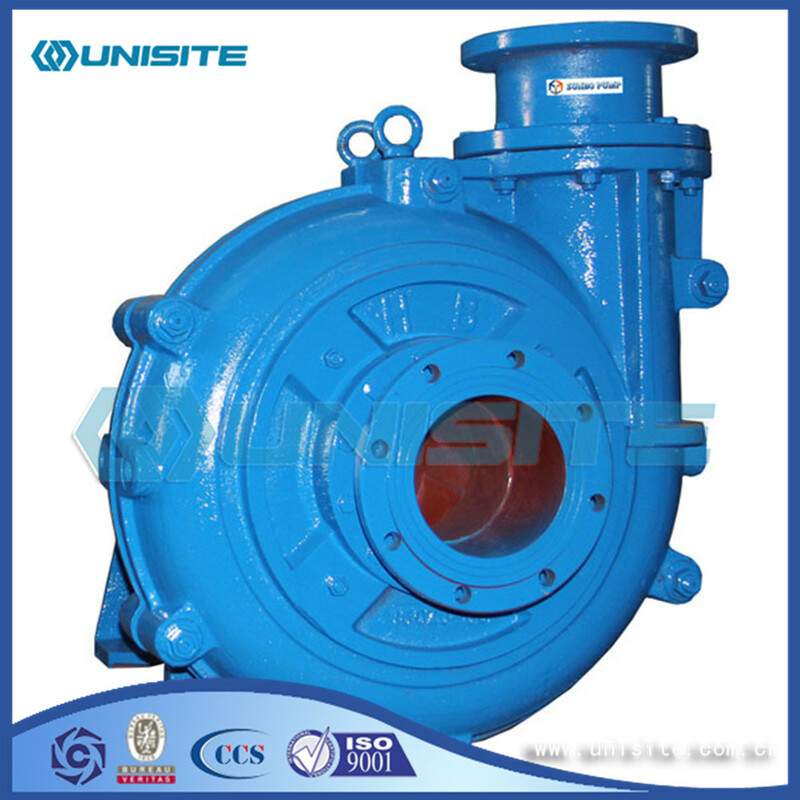 All fabricated casting used in the construction of the pump will be to manufacturing standard of UniSite or other classification society. All materials normally are high-chromium white cast iron with our standard material sheet, but not limited for other specified material from client. We use CFD (Computational Fluid Dynamics) technology to predict the internal flow path and flow field and external property of pump, to analog the movement of slurry in pump, to adjust the wrap angle and thickness of impellers. We use CAE that adopts the advanced value solving approach, which can analyze the complex actual flow forming and analog the process, predict the possible defects such as shrinkage cavity, coiling air and ash, advise the effective measurement for improve the technology, decrease the rejection rate. Looking for ideal Steel Centrifugal Slurry Pump Manufacturer & supplier ? We have a wide selection at great prices to help you get creative. All the Marine Steel Centrifugal Slurry Pumps are quality guaranteed. 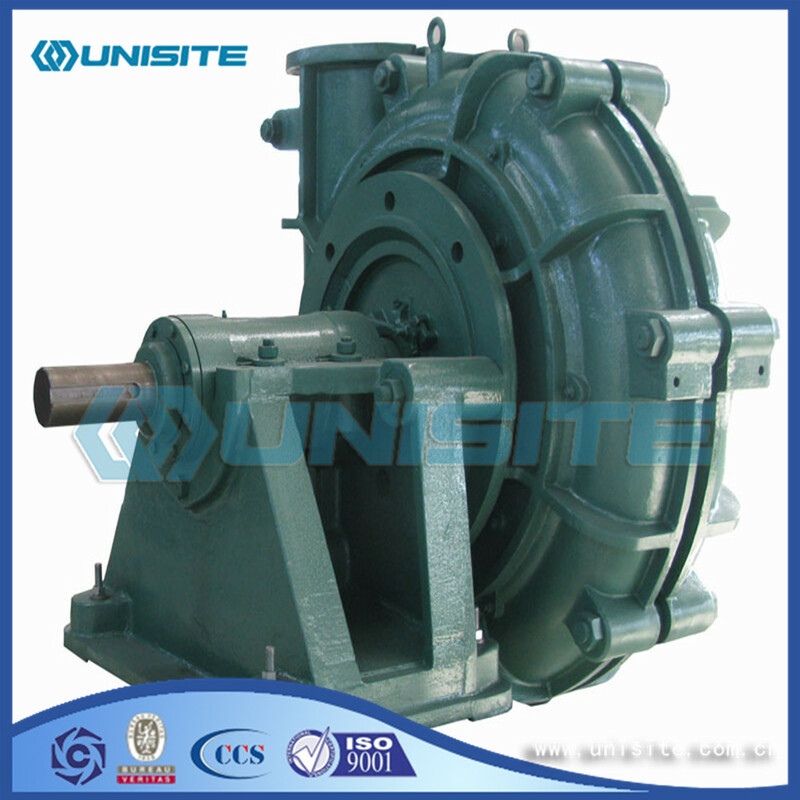 We are China Origin Factory of Steel OEM Centrifugal Slurry Pump. If you have any question, please feel free to contact us.